Here's the news we've been waiting for! London's British Film Institute is hosting a public preview screening of Poldark S2 in August. 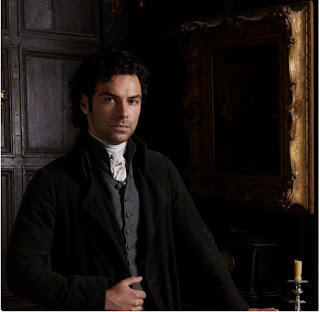 The screening of episode one will be followed by a Q&A session with cast and creatives Aidan Turner (Ross), Eleanor Tomlinson (Demelza), Debbie Horsfield (writer) and Damien Timmer (executive producer). The Poldark preview is on Monday 22 August, 2016 at 6.15 pm at BFI Southbank, London. Tickets go on sale on 12 July at 11.30 am and are limited to two per booker. Update at 2 pm 27 June: BFI Members will have priority booking (2 tickets) from 5 July.